The Mysterious Hinterkaifeck Murders | Exciting Earth! 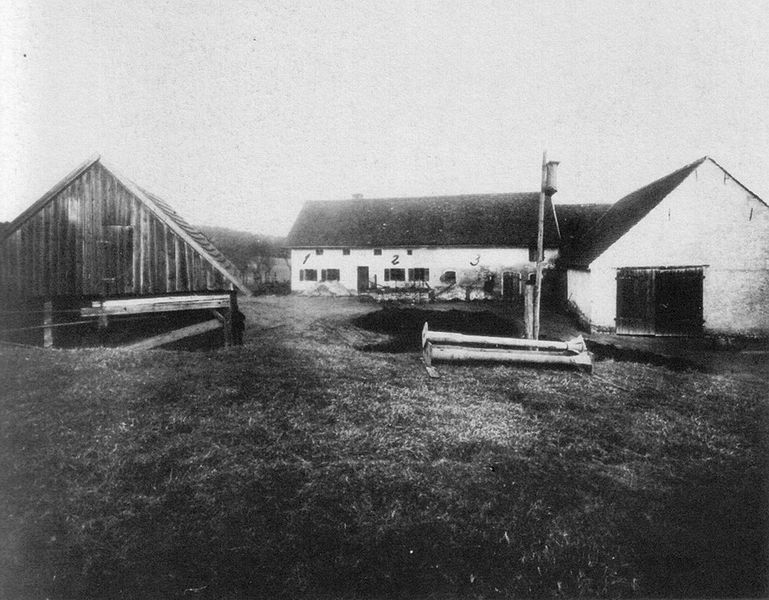 In Germany, 1922, the murders of six people at the Hinterkaifeck farmstead shocked the nation. This wasn’t just because of the gruesome nature of the case, but also because the case was so incredibly weird, and it remains unsolved to this day. Now, for some background to the case; the Gruber family, consisting of Andreas and Cäzilia Gruber, their daughter Viktoria, and her two children Cäzilia (7) and Josef (2), and their maid, Maria Baumgartner, lived permanently at Hinterkaifeck, which was situated next to a forest. Maria was new to the farm, having only just arrived that day as a replacement for another maid. Interestingly, the previous maid had left claiming that she thought the farm was haunted. Whilst no one is certain as to exactly what happened, it appears that on the night of March 31st, 1922, someone managed to lure all of the family members (except Josef and the maid, Maria) into the barn, one by one, and murdered them all with an axe. Horrifyingly, the autopsy showed that young Cäzilia had been alive for quite some time after being attacked, tearing her own hair out as she lay dying in the barn. The killer then went into the house and killed Josef and Maria in their beds. The family was noticed as missing several days later when none of them had been seen for a few days, and young Cäzilia had not attended school. Neighbors went to check on them and discovered the bodies. After extensive police investigations, a viable suspect was not found. And, as if the situation wasn’t already horrible enough, it actually gets worse. Neighbors recalled that just a few days before the murders, Andreas Gruber had mentioned a strange occurrence to them. He claimed that he had found footprints in the snow, leading from the forest’s edge to the house, but there were no footprints leading back. He also thought he had heard strange sounds coming from the attic. A particularly terrifying theory that stems from this is that someone may have sneaked into the house, lived undiscovered up in the attic for a few days, and then come out to murder the house’s occupants. To further add to this theory, in the days that the bodies were certainly lying dead in the barn, neighbors reported that they had seen smoke rising from the chimneys. Also, someone had been feeding the farm’s cattle. So, if someone had done this, it also seemed as if they had stayed for several days after the murders to take care of the place. This theory leads to many questions. Was it just one person, or more? Why did this person (or people) want to kill the family? How did they sneak into the house? How did they lure the family into the barn, one by one? Why would they stay for several days later, and take care of the farm? Overall, taking these questions into account, the case of the Hinterkaifeck murders is terrifying to comprehend, and it remains as one of Germany’s most mysterious unsolved cases. It is unlikely that we will ever really know what happened, which seems to make it even scarier. How very odd and terrifying. what an absolutely fascinating and intriguing case…..! Thought you might be interested: this guy seems to have completely copied your work here: http://coolinterestingstuff.com/the-hinterkaifeck-mystery. Hosted at Arvixe.com (contact abuse@arvixe.com and I’m sure they’ll help you). Thanks very much for letting us know, I am checking it all out now.